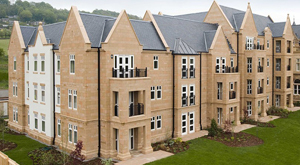 Naylor Concrete lintels were used as part of the St Elphin’s Park £6m Restoration and Redevelopment. Exceptional homes in the perfect location – £6 million restoration & redevelopment. 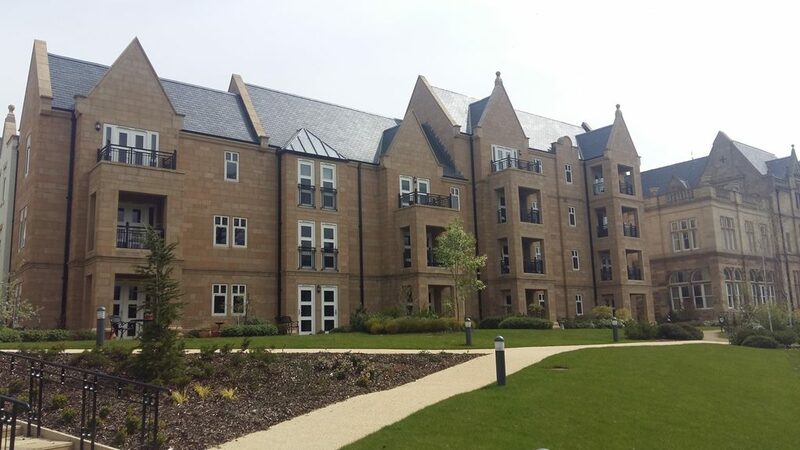 St Elphin’s Park retirement village is set within 14- acres of landscaped grounds, located within the Derbyshire Dales and on the border of the Peak District National Park, with Matlock and Bakewell close by. The centrepiece building, St Elphin’s House, started life as a private residence, becoming an exclusive spa in the 19th century, and latterly, a well-known girls’ boarding school, St Elphin’s Girls School. This Victorian schoolhouse has been restored stone by stone so that now it houses the Audley Club, with its luxury health club, fitness pool, Bistro Bar and the Orangery Restaurant. Surrounding the Victorian grandeur of St Elphin’s House, and built to echo the appeal of a traditional Derbyshire hamlet, are attractively designed retirement properties including apartments, cottages and mews cottages. The first phase of apartment blocks C & D, where completed in December 2015 with the final phase of development, Block A & B, Pollard Way (home to 32 one, two and three bedroom apartments) due for completion summer 2017.